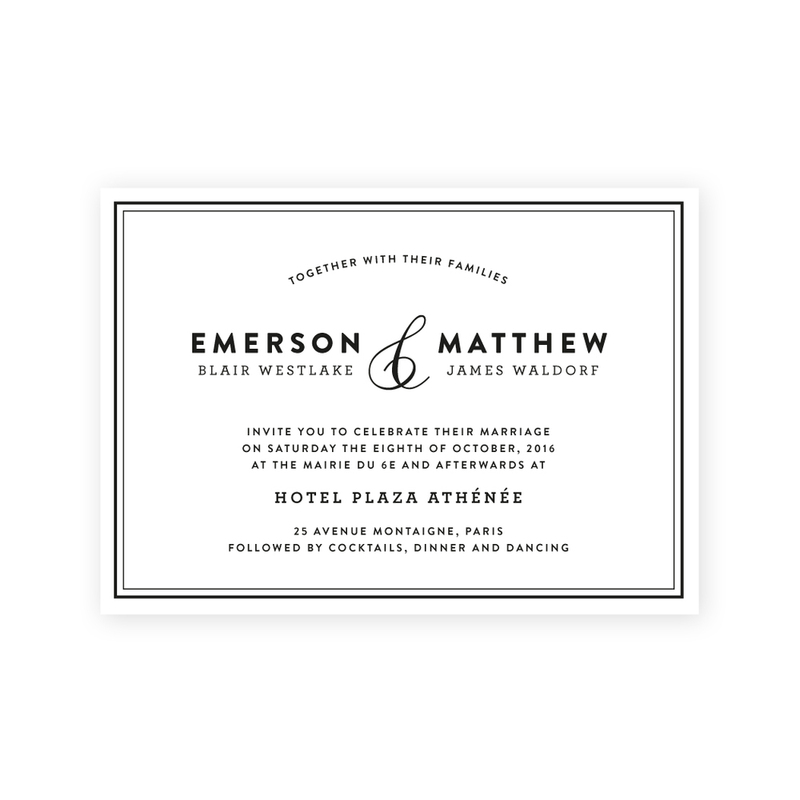 Introducing the Emerson suite. This clean and contemporary suite takes its inspiration from French cafe signage and is the perfect fit for a classic black tie event. The Emerson suite's clean and contemporary styling is inspired by French cafe signage and is the perfect fit for a classic black tie event. 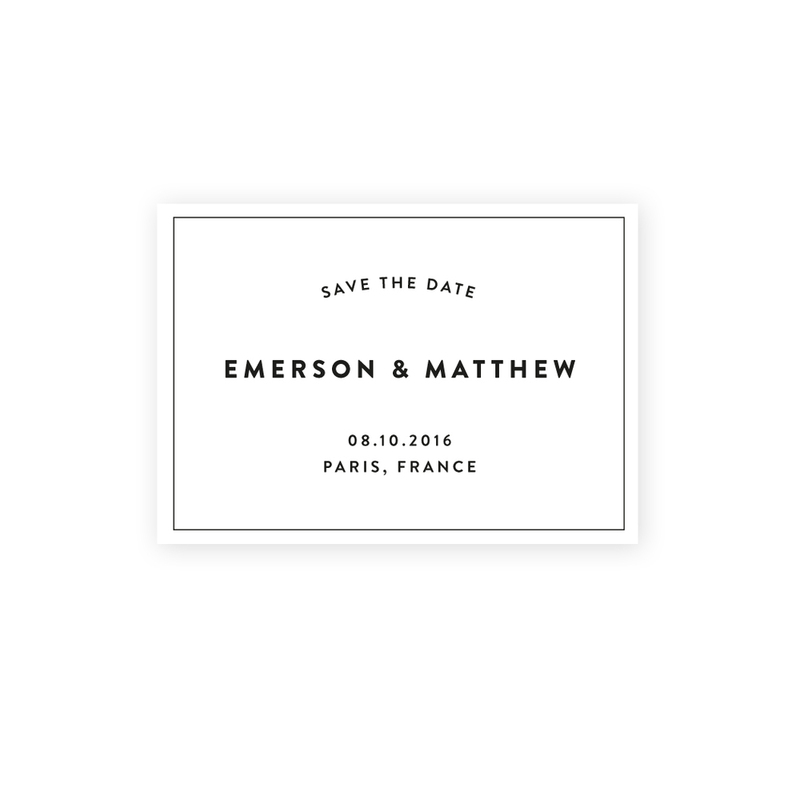 The Emerson suite looks beautiful in black or grey or foiled in silver, gold or rose gold - the choice is yours! For pricing, customisation options and turnaround times, please visit our pricelist.